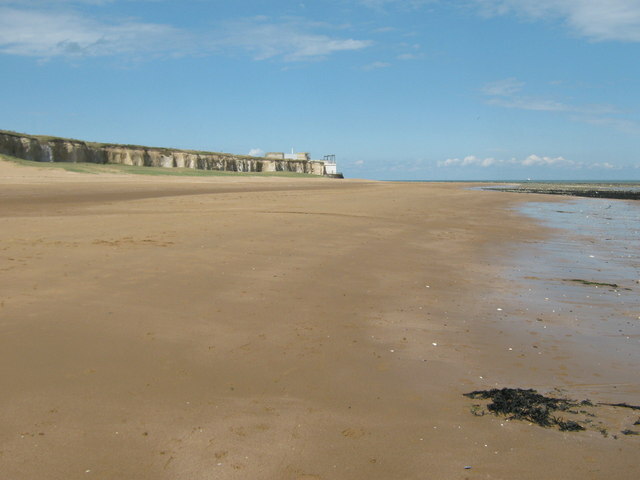 Found in Kent, Botany Bay is the most northerly found of all of Broadstairs’s beaches and many argue that it is it by far the prettiest of the bunch. A whopping 660ft curve of stunning sand is set against the backdrop of dazzling white cliffs. Children will love exploring in the rock pools, looking for crabs as well as shell picking. Safe swimming is also featured at this beach, making it great for families of all age. If you want to have a walk when the tide is out, Joss Bay is just around the corner. The bay is popular with surfers and thrill seekers – don’t forget the suncream! For food, there is a local retro restaurant that serves hot and cold meals including breakfast, lunch and dinner. This entry was posted in British Location, UK Beaches and tagged UK beaches on May 8, 2015 by .